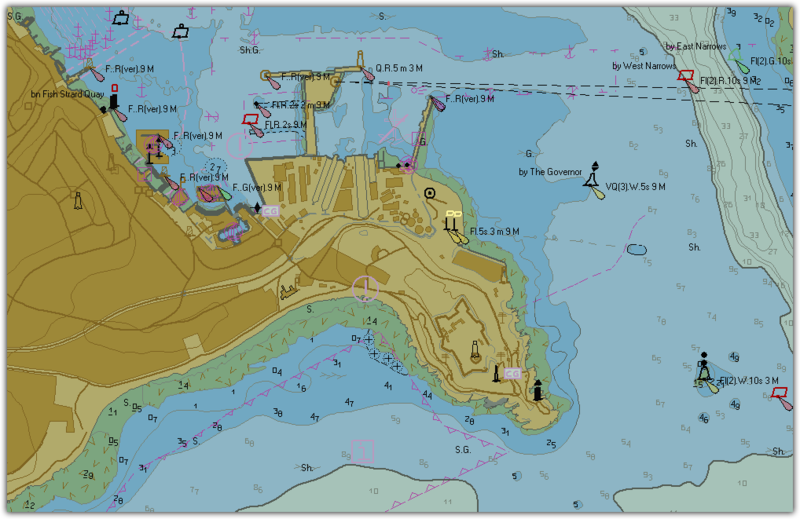 seaPro is a ‘multi-fuel’ charting system that utilizes both vector and raster chart formats to provide you with the best choice of quality charts wherever you are in the world. Simply select the charts that suits your geographic location and format preference. Charts supported by Euronav offer quality, detail, accuracy and coverage in standard formats that are regularly updated. 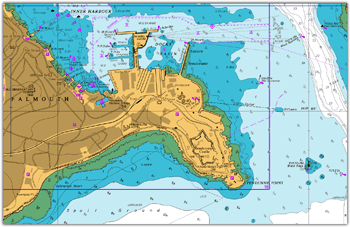 Livecharts, Navionics, S57 ENCs (AusENCs, AVCS, Primar, unencrypted S57s), Raster RNCs (AusRNCs, ARCS, BSB, NZMariner). 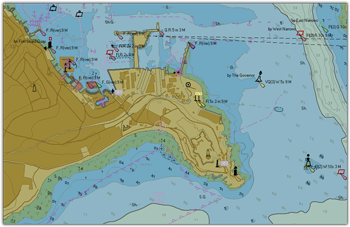 Quality vectored charts that faithfully reproduce the color, accuracy and detail of standard hydrographic office paper charts in a vectored and layered format offering total flexibility not possible with paper charts. Seamless chart selection and the ability to automatically select detail relevant to zoom level or as defined by the user. For a full list of the chart packs available please see the Price List. 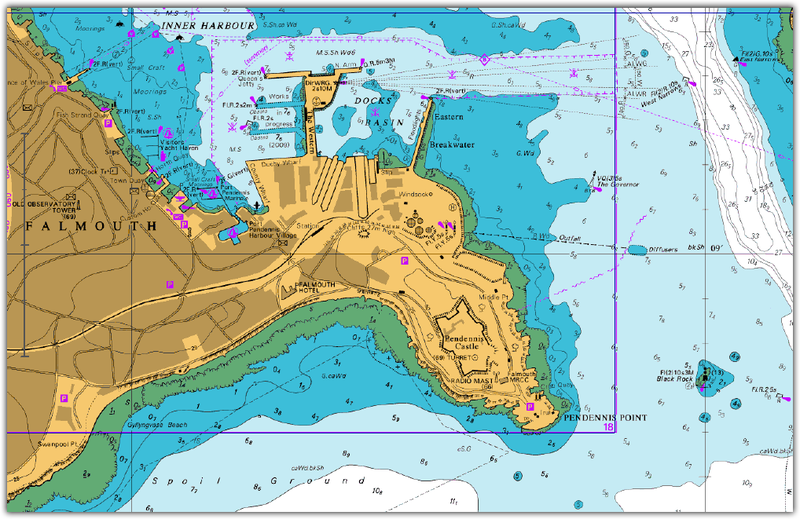 Digital data produced by hydrographic offices and other official sources of chart data. This chart format will eventually replace paper charts. Although availability world wide is limited, coverage is rapidly improving especially in Northern Europe and the USA. S57 charts are supplied either in an encoded format (copy protected) or in a non-encoded form. Euronav is a distributor for both Primar and the UKHO S57 data. Raster Charts - Scanned in paper charts or photo masters. 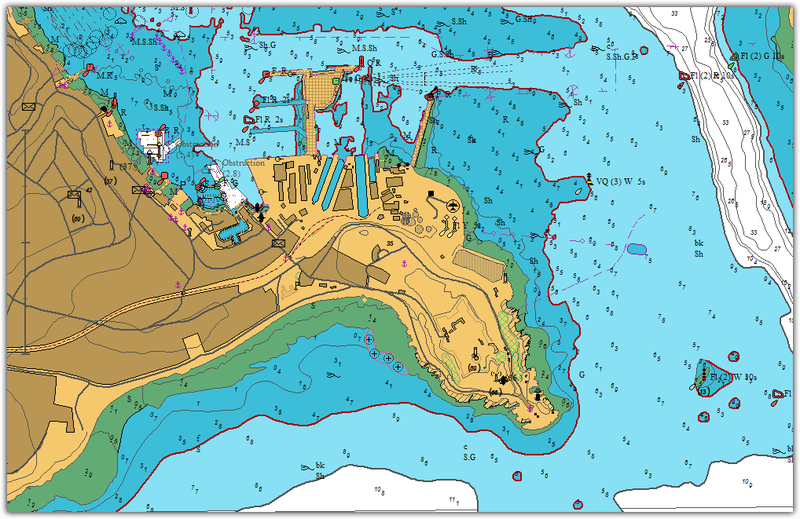 Official raster charts produced by the UKHO which offer world-wide coverage. An ARCS catalogue is provided within seaPro and on the seaPro demo CD. The charts can either be purchased outright (Skipper service) or leased with a weekly update service for a year (Navigator service). Official raster charts produced by the Australian Hydrographic Office which cover Australasian waters. New Zealand Hydrographic Office Charts. Available from a number of manufacturers throughout the world, the prime supplier is Maptech (especially in the USA) including the new BSB 4 version. Note: There are a number of BSB 'dialects', most are supported but compliance with non-Maptech BSB cannot be guaranteed.